These are a few ideas for short visits to Greece or add-ons to your itinerary or some things I did not know where else to put them. 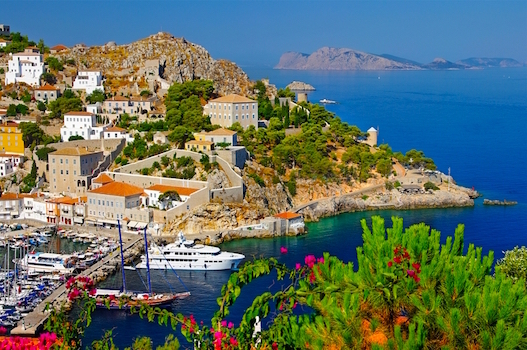 The One-Day Mini-Cruise to the Saronic Islands is by far the most successful cruise in Greece. It goes almost every day of the year to Aegina, Poros, and Hydra. A bus picks you up at your Athens hotel in the morning takes you to the ship and after the cruise it drops you off that evening in plenty of time to take a shower and go out for dinner. If you want a taste of these nearby islands and you don't have much time this is the way to do it and chances are you will like at least one of them enough to come back and spend more time there. 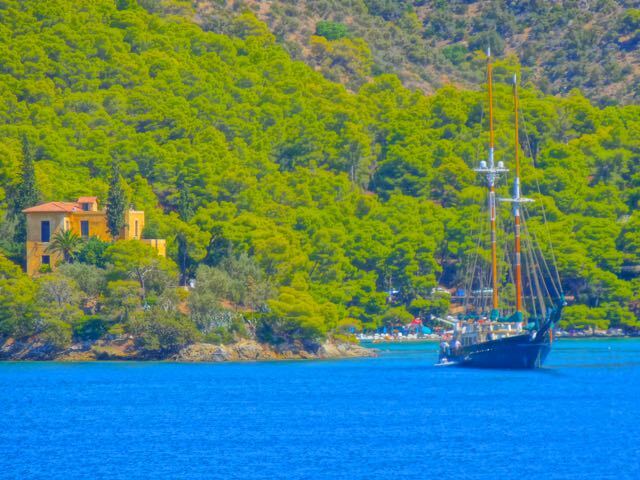 A lot of foreigners who have summer houses or live full time on these islands came the very first time on the One Day Saronic Cruise. It costs less than 100 euro for the cruise and includes lunch. It would cost you about the same to go to Hydra, have lunch and come back. You can see more on Fantasy Travel's Saronic Cruise Page. Day 1: Athens. If you get in early enough see the Acropolis. Otherwise rest up and visit the Plaka, have a nice relaxing dinner and go to sleep early. Day 2: Take off in your own chartered sailboat, yacht or flotilla for the islands. Day 3: You decide after the first day that this is what you want to do for the rest of your life. You call your boss and tell him you quit and you tell your family you are never coming back. Then as luck would have it the skipper offers you a job on the boat which you take and work long enough to buy your own sailboat and start your own charter company. There are a number of other options available on my Sailing in Greece Page. 3-4 and 7-Day Cruises: Whether you think of yourself as a cruise-type person or not this is the easiest and most efficient way to see Mykonos, Santorini, Rhodes, Patmos and Turkey all in one trip. Most islands you get about 5 or 6 hours to run around and see everything and then you get back on the boat at night and go to sleep, waking up on a new island. 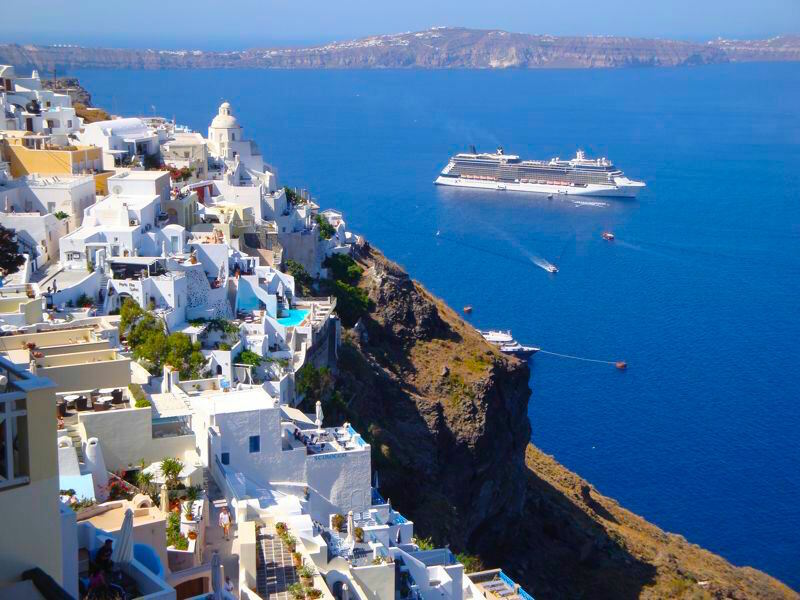 My suggestion is to get the best of both worlds which is Fantasy Travel's Smart 7 which allows you three days on Mykonos, three days on Santorini, and in between you take a cruise to Patmos, Ephesus, Rhodes and Crete. 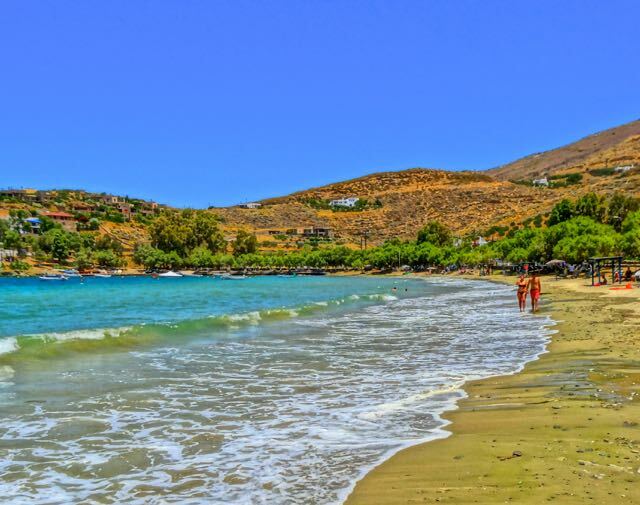 Or check out their Idyllic Aegean Cruise which visits a number of islands that are not on the normal cruise itineraries, for example Milos, Samos, Syros, and Kos as well as the more popular stops. It also goes to Cesme in Turkey which is in easy striking distance of Izmir (Smyrna). Or their Iconic Aegean which includes the most popular islands as well as a few surprises like Symi, and Chios. It also visits Istanbul. You can see these and more on Fantasy Travel's Cruise Page. 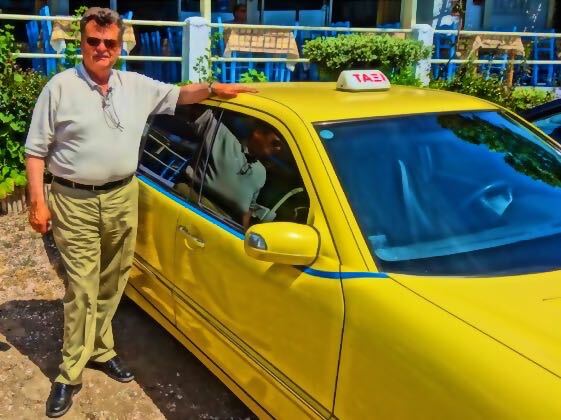 George the Famous Taxi Driver's trips to Sounion, Nafplion, Delphi, Olympia and Meteora are terrific especially if you are a group of three or four since you would be paying the same to go on a tour with 50 other people. His son Dennis has a limo which is used for larger groups and his son Billy has a bus so you can bring all your family and friends or start your own tour company. When you do these tours George arranges all the hotels and supplies you with travel books and videos and information on all the places you will be visiting. He will take you to nice beaches on the way there or back and small traditional restaurants that the people on tour buses don't get to go to. He also helps you decipher the menu and helps you order. Any of the tours or itineraries offered by the travel agencies can be done with George or his sons. Fantasy Travel offers a number of short and not so short excursions that allow you to see the best of the Greek mainland while making the most efficient use of your time. For example if you have two days there is an overnight trip to Delphi and Meteora Monasteries and also a 3-day version of the same trip. If you want to make sure you hit all the important classical sites like Myceneae, Epidavros, Olympia, Delphi and also the Meteora monasteries then I suggest the 4 Day Classical Tour or the 5-Day Classical Tour. 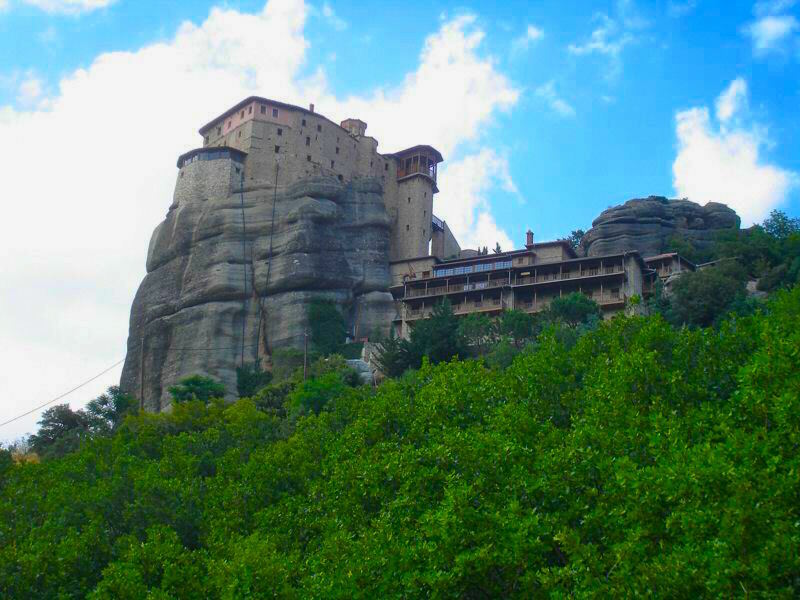 The 3-Day Classical Tour offers everything except Meteora. Shorter trips include the One Day Tour of Myceneae and Epidavros which includes Nafplion. Or you can do the 7 Day Grand Tour and see just about everything on the tourist menu. You can find these and more on Fantasy Travel's Sightseeing Tours Pages. If you are coming from the USA a weekend in Greece might be too short a period of time to justify a 10 hour flight. But people coming from Europe for a long weekend can spend a couple nights in Athens and in between visit Aegina, Poros or Hydra or do the one-day cruise or a mainland trip with George the Famous Taxi Driver or Fantasy Travel. Or they can just hang out in Athens and go to the beach. As long as it is not winter and the highspeeds are running you could even get to Mykonos or Sifnos or one of the other nearby islands for an overnight stay. If all you want to do is plop yourself down on a nice beach somewhere then I suggest the island of Angistri and in particular the X-pat favorite Angistri Club. Or if all you require is a hotel one a beach with a couple tavernas and maybe some ruins to gaze at go directly from the airport to the Hotel Aegeon Beach, right on a beach with two tavernas below the Temple of Poseidon at Sounion. Unless it is a weekend in August you can get a room at the Red Tractor Farm Guest House, on the island of Kea (photo). It is a working organic farm, 2 minutes walk from the port of Korissia and a long sandy beach on one of the most interesting and closest islands. I have put together an itinerary for a weekend in Athens and the surrounding area on my Weekend in Athens page. Do you enjoy using my site? Have you found it entertaining as well as useful? If so please show your appreciation by booking hotels through the travel agencies and the links found on my Greece Hotels page. The small comission I make on the bookings enable me to keep working and in most cases you won't find them any cheaper by searching elsewhere. You can also use the links to Booking.com's Greece Page who also give me a small comission.